The sweet and tart flavors of raspberry and rhubarb complement each other in our whole-fruit syrup. Try this delightful mix on crepes, waffles or ice cream, or use as a glaze on chicken or pork. Available in three sizes, in plastic or glass. Alaska’s fertile Matanuska Valley produces fruits and vegetables famous for their size and quality. Among these are the “rubies”, raspberries and rhubarb. 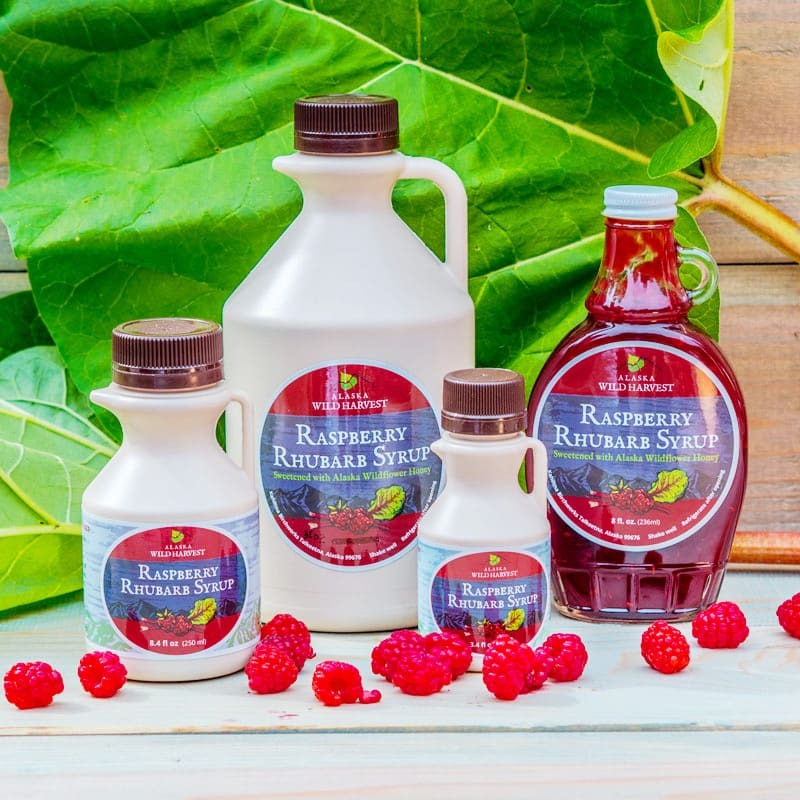 Combined in our whole-fruit syrup, the sweet and tart flavors of raspberry and rhubarb complement each other, offering you a taste treat that you will want to use on crepes, waffles, and ice cream. This versatile, low-sugar topping, being mostly fruit, is thick enough to use as a spread on your toast, or as a glaze on chicken or pork. Be creative and enjoy! Available in three sizes, in plastic jugs or glass.